The Facts panel is the place to record all the important details about the lives of family members. All facts can store details about the date and place of the fact, how old the person was at the time, notes about it and citations which reference the sources of the information. A full list of facts is displayed in the facts panel. The type of fact, the location and date are shown for individual facts. Shared facts display the name of the other person associated with the fact. 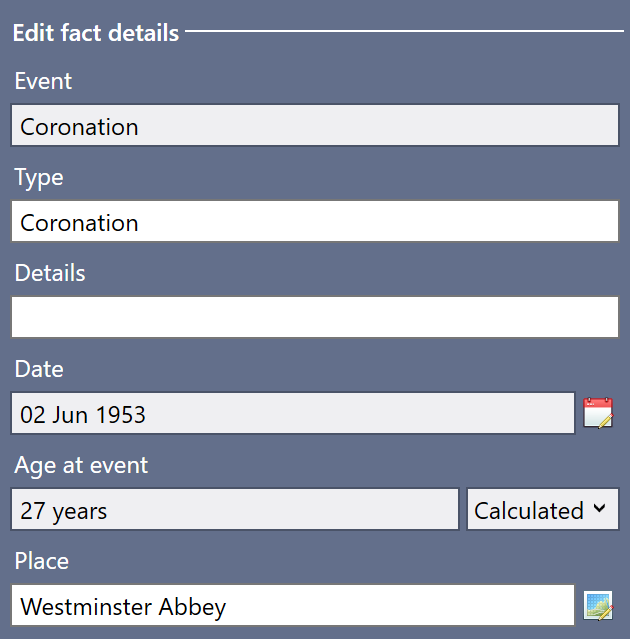 Select a fact to access any editable information about the fact. 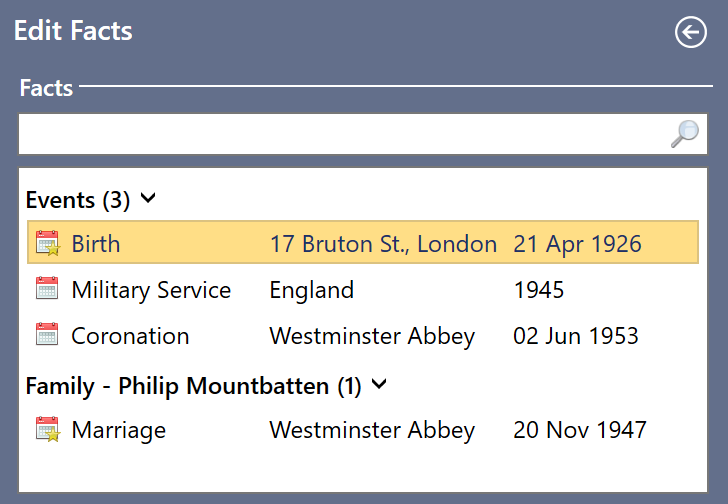 To edit the whole family's facts, use the Family Facts view. Fig 1. The facts list. You can add facts to the currently selected person. To add, remove or set a fact as the primary fact, right click the facts list. Fig 2. Adding a fact. Details about the fact can be edited in the panel below the facts list. Fig 3. Editing fact details.